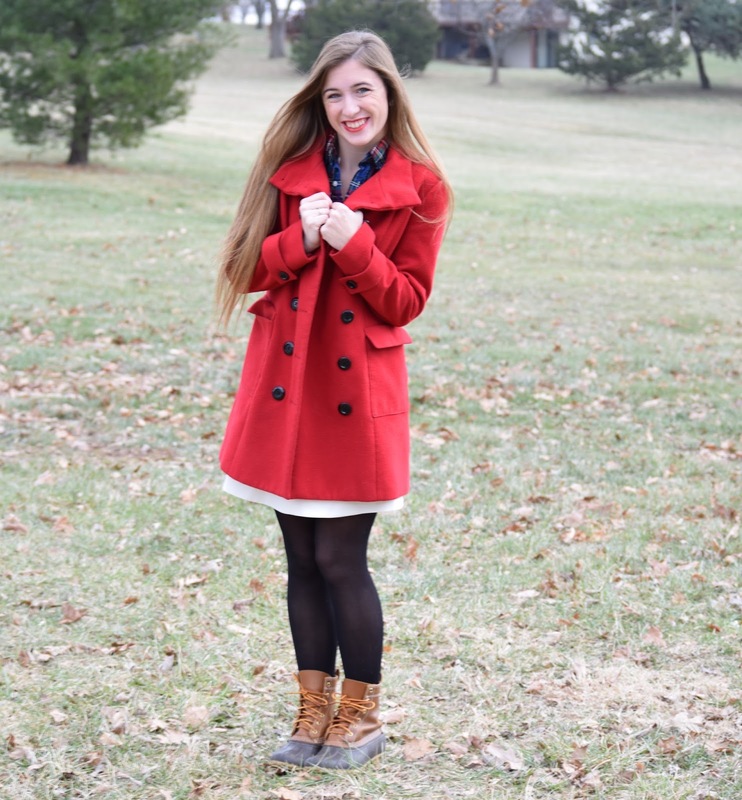 With Valentine's Day literally right around the corner it's about time to start locking down your outfit. 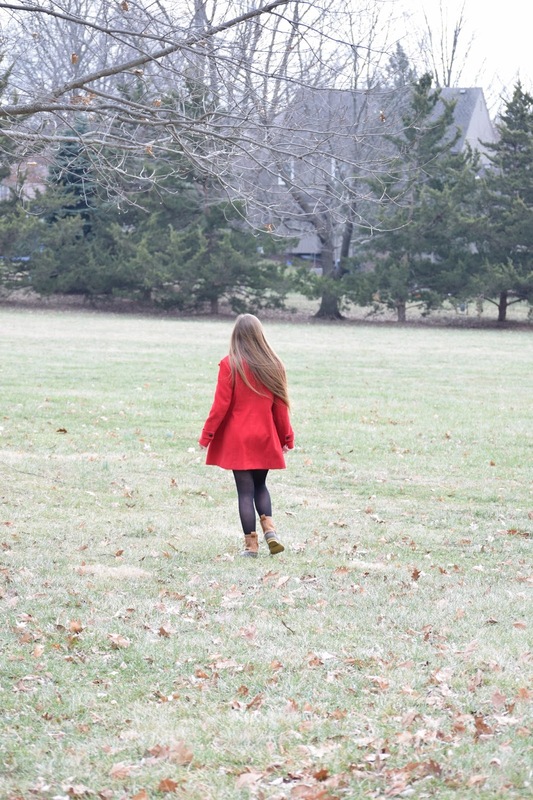 Unfortunately, where I live it's a tad too cold for me to go prancing around in a cute pink mini dress, but this bold, red coat may be the answer to my problems. 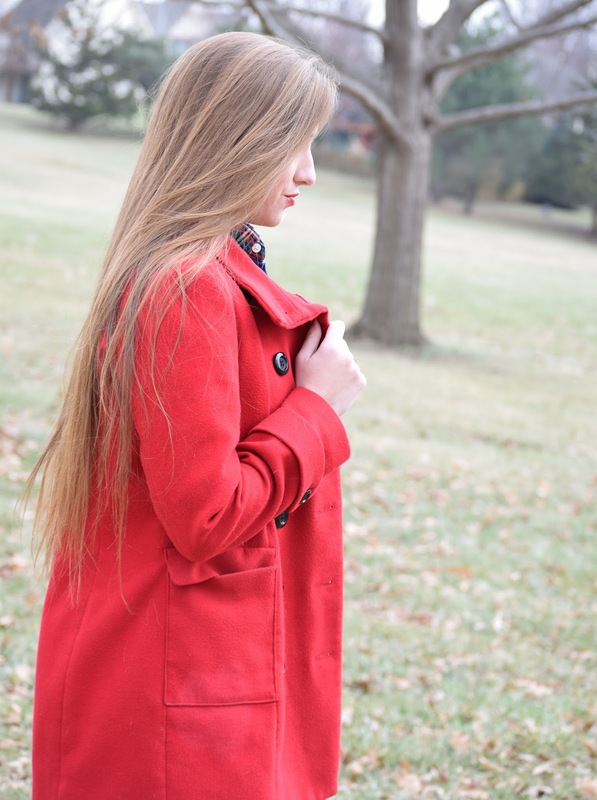 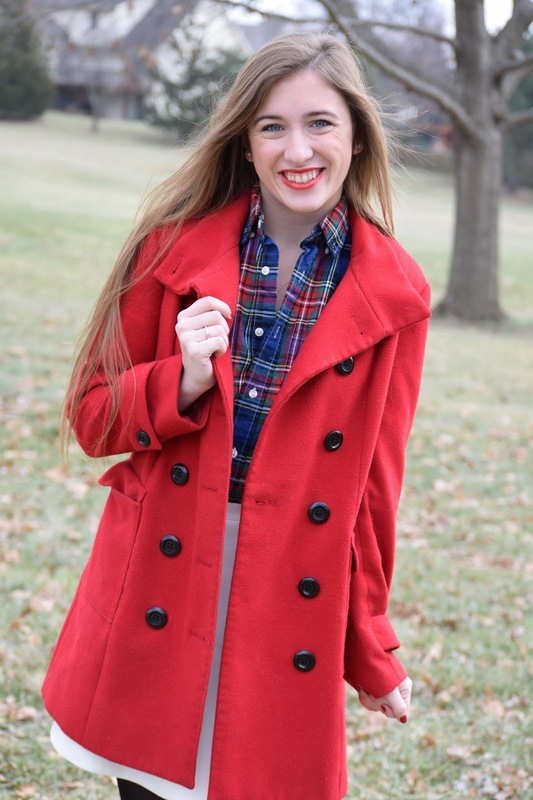 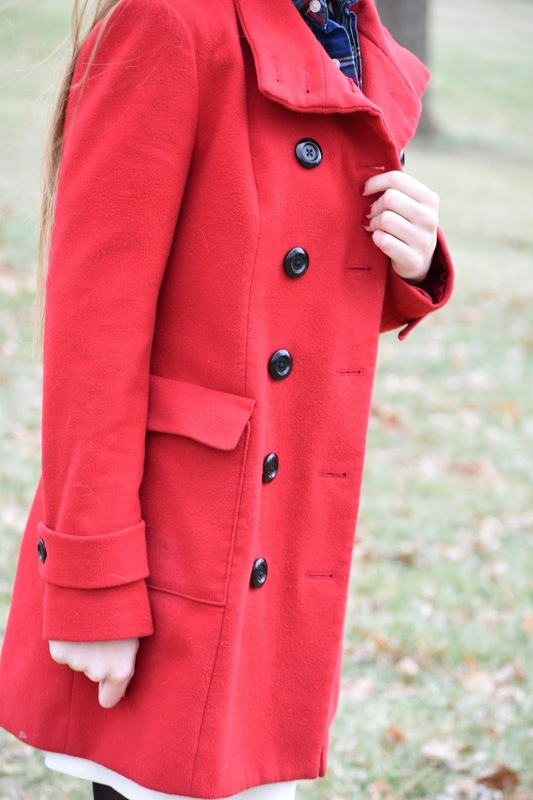 Make a statement with a solid, red coat this Sunday if you live where the air tends to hurt your face. 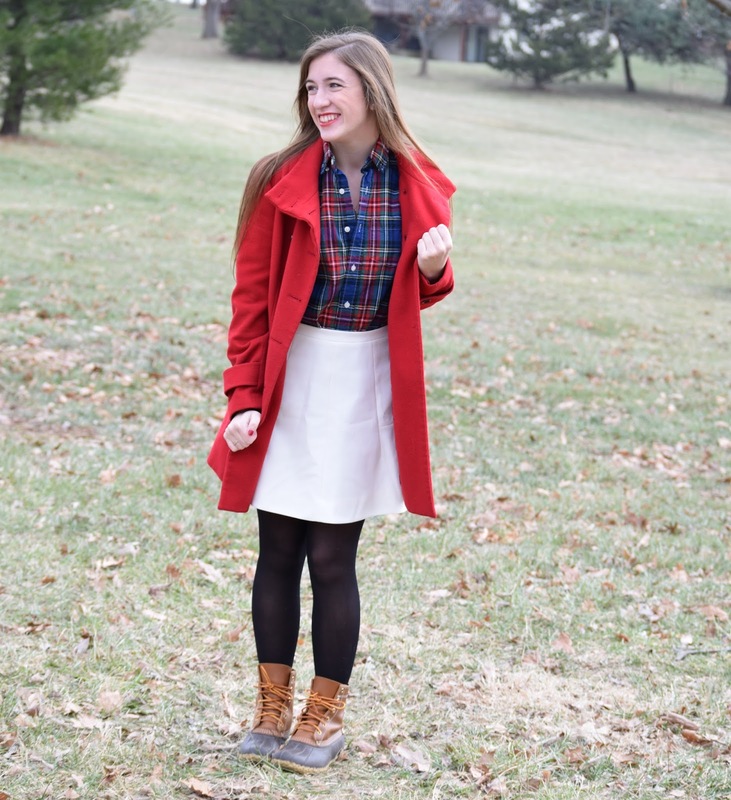 Also, if you're not really into the stereotypical, feminine, mini dress, mix it up with a casual plaid top and skirt, and to make it a little less dressy, throw on your warm Bean boots!